When Tic Tac Canada was determining which flavor of candy it should select to extend its product line, it realized that letting the consumers decide could serve as market research and a promotional campaign in one. It also knew that because the target market was 18- to 24-year-olds, the mobile channel would generate maximum engagement. 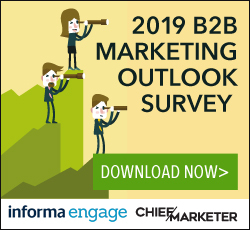 And previous campaigns had taught the company that promotions involving repeatable micro engagements and smaller rewards were more effective for the brand than campaigns with larger but fewer incentives. Taking into account all these elements, Tic Tac and agency Noise Digital launched the Tic Tac Flavour Faceoff. Consumers could choose one of three finalist flavors to become the next limited-edition variety of Tic Tac: Green Apple, Cinnamon Spice or Wintergreen. 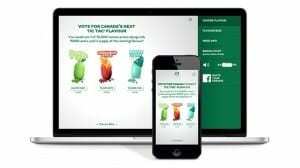 Each time they voted at the dedicated website, via either mobile or desktop, they earned an entry toward the grand prize of $5,000 and a year’s supply of the winning flavor. Participants could also win one of 10,000 instant prizes such as samples, digital coupons and retro branded T-shirts. As a kind of homage to the iconic rattle that a container of Tic Tacs makes in one’s pocket, consumers were encouraged to shake their mobiles to make their selection. Facebook ads drove users to the contest, and fans received bonus entries for the grand prize by sharing the contest on Facebook; this strategy resulted in 90,000 Facebook shares. Further leveraging online media, the contest was embedded directly onto the Buzzfeed website. The campaign generated nearly 34 million media impressions, with Facebook driving more than half of the 40,000-plus unique contest entrants, who cast more than 115 million votes. Preorders for the new flavor among retailers increased 15% from the previous year. But perhaps the biggest winner was Green Apple, which was crowned the next limited-edition Tic Tac flavor.